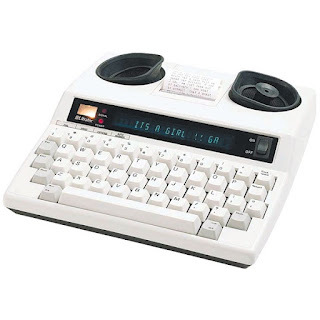 Learn about assistive technology for people with reading disabilities, dyslexia, low vision, blindness and other disabilities that make reading, writing, and other tasks difficult. Written by someone who uses assistive technology to read and write. Apple's newly released mobile operating system includes a new accessibility feature called Magnifier. The feature uses the device's built-in camera to enlarge objects placed in front of the camera. This can be helpful for people with visual disabilities who need to read small print. The feature can be enabled by navigating to Settings > General > Accessibility > Magnifier. Once enabled, Magnifier can be accessed by triple clicking the home button. Magnifier's interface looks very similar to the camera apps interface with a few notable changes. One change is that Magnifier has a freeze frame button rather than a shutter button. Pressing this button freezes the image instead of taking a picture. Magnifier also has a zoom slider that is large and always visible on screen. The zoom slider allows users to zoom in further than is possible with the camera app. Magnifier allows users to zoom in up to 15x compared to 5x with the camera app (iPhone 7 Plus has optical zoom). However, the further a user zooms in the more pixelated the image will become. Magnifier also includes several high contrast options that can be applied before or after a freeze frame is captured. Magnifier has several advantages over taking a picture with the camera app and then enlarging the image from the camera roll. The first advantage is that freeze frames are captured in full resolution. This means that users can zoom out after the freeze frame is capture. In the camera app, once a picture is captured using zoom there is no way to zoom out again. Another advantage of Magnifier is the high contrast modes that are available. Lastly, opening Magnifier by triple clicking the home button means that it is faster to launch than third party magnification apps. There is one feature that unfortunately is not included in Magnifier which is the ability to save freeze frames for viewing at a later time. For example, if a person uses Magnifier to read a conference agenda the person may need to take multiple freeze frames of the agenda through out the day because only the most recent freeze frame can be saved. It also may be difficult for some people to capture crisp images with Magnifier. At 15x zoom, even the slightest shake can make the image blurry. I wish Apple had added a capture timer to Magnifier. This could help eliminate minor shaking that occurs when a user reaches for the freeze frame button. Overall, I think Magnifier will be greatly appreciated by people with visual disabilities and older people who have trouble reading small print. Microsoft recently made a new add-on available for its OneNote software which aims to help students with dyslexia. 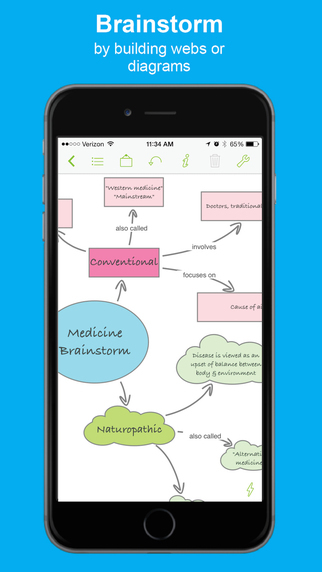 The add-on works within Microsoft's note taking software and is currently available to download as a beta. Once installed, a new tab appears which gives users the option to read content using text-to-speech or dictate using speech-to-text. While both of the features have been available before it is nice to have a free option that can be used directly within OneNote: an application that many schools and parents already have installed as part of the Microsoft Office suite. The text-to-speech reader mode is called "immersive reading mode" and includes some handy features. When activated the reader fills the entire screen with text from your OneNote notebook. While reading text is highlighted as it is read aloud. Users have the option to change the background color and text size in order to create a more comfortable reading experience. The add-on also includes the ability to highlight nouns, verbs, and adjectives in different colors; a feature that could be helpful for younger students. Microsoft even includes the ability for users to break words up into syllables. It is exciting to see the fruits of Microsoft's enhanced accessibility initiatives. While the new features are not novel they seem easy to learn. 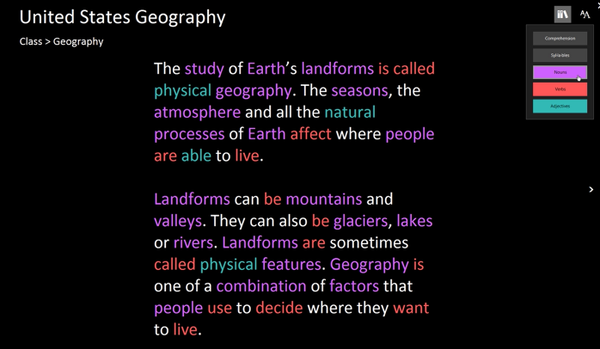 Since the "Learning Tools" are free for OneNote users and easy to learn they may prove to be a great starting point for people new to assistive technology. Microsoft seems to be increasing their focus on accessibility. Recently, the company announced a new Chief Accessibility Officer and a reorganization of accessibility teams. Hopefully, with the new reorganization, "Learning Tools" is just the beginning of Microsoft's accessibility improvements. The "Learning Tools" add-on available as a free download for Windows. Click here to learn more and download the add-on. AXS Map is an app available for iOS and Android that allows users to rank the accessibility of local businesses. Using the location of the device users can search for nearby businesses and rank the accessibility of the location in very basic terms. More detailed accessibility information and information for people with a wider range of disabilities would improve the app. While accessibility standards established by the government are exact and technical, AXS Map uses a star rating system. For example, a businesses that is easily accessible to people with disabilities would earn a five star ranking. The app also allows users to rank a business based on the noise level, which can be helpful for people with hearing impairments, and by light which can be helpful for people with visual impairments. I was recently involved in a "Mapathon" were a group of people used the app to map parts of the city. This experience helped me understand the value of the app, as some businesses had serious accessibility issues such as numerous steps with no ramps. The data that is inputted through the app or the website can then be viewed by people interested in the accessibility of a business. For example, a person with a physical disability could check the app to make sure that a coffee shop had a ramp. If the AXS Map platform becomes popular it could even prompt businesses with poor rating to make improvements. While the concept behind AXS Map is good, the implementation is a little rough. The app is not intuitive to use and can be frustrating. However, it does work once you get familiar with the interface. The app also requires users to enter their email which could steer some users away. To use AXS Map visit AXSMap.com or download the app for iOS and Android. Click here to download the app for iOS and click here to download the app for Android. 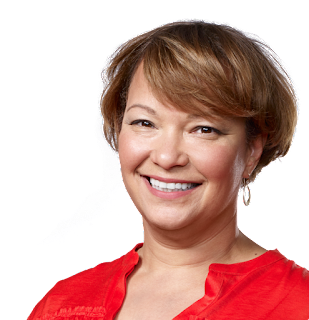 Apple recently updated the bio of Lisa P. Jackson to reflect her new role overseeing accessibility at Apple. This expands her previous responsibilities of overseeing environmental initiatives at Apple. Ms. Jackson's official title is now Vice President of Environment, Policy and Social Initiatives. Apple CEO Tim Cook has been vocal regarding his views of the importance of accessibility. This new management change, which puts a Vice President level executive in charge of accessibility for the first time, seemingly reaffirms Apple's long-standing commitment to accessibility. 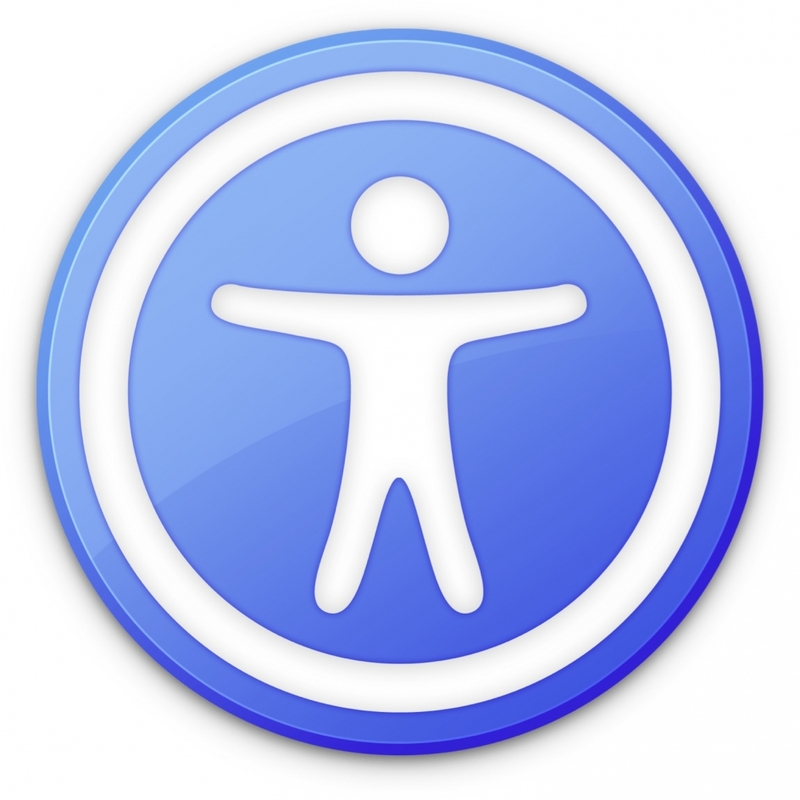 Apple has been a leader in accessibility. Its products include superior accessibility features out of the box. Features such as VoiceOver, Speak Selection, Zoom, AssistiveTouch, and Switch Control give people with disabilities equal access to Apple products at no additional charge. From personal experience I can say that these features are truly life changing and positively impact many people. Even considering Apple's past success there are areas for possible improvement. One example involves training sales people about the accessibility features. On recent trips to Apple Stores, I have had some experiences that are not consistent with Apple's commitment to accessibility. 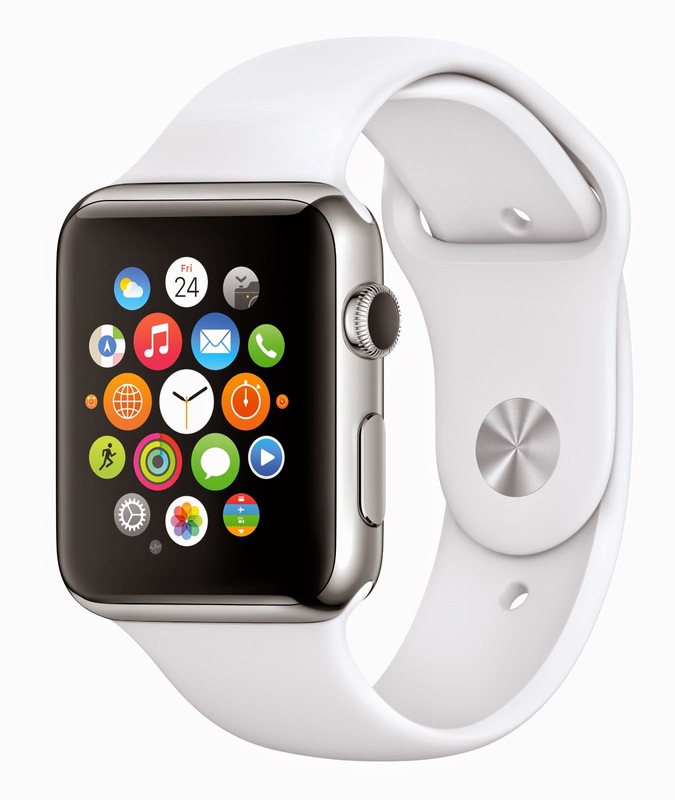 For example, the Apple Watch on display had its accessibility features disabled. While Apple likely wants to limit confusion for customers who do not use accessibility features, this does not promote equal access. Part of the magic of the Apple Store is being able to walk up to a shinny new product and try it out. With the accessibility features disabled, and the sales people unfamiliar with how to enable these features, users with disabilities don't have an opportunity to fully explore the product. Apple should be showing off these features, not hiding them. Apple would be doing a great service to its customers with disabilities to prepare its store employees to talk about accessibility features as well as they talk about other features. Ms. Jackson has proven herself to be a very capable leader. She has the ability to continue Apple's accessibility superiority and solve existing challenges. Her work on environmental initiatives has been very successful, propelling Apple towards the top of the technology industry in terms of sustainability. The future of Apple product accessibility seems bright, and I am excited to see what innovations come next. To read Lisa Jackson's full bio from Apple click here. Photo credit: Apple. Voice Dream has become a well-known name in the assistive technology community because of Voice Dream Reader: a text-to-speech reader available for iOS devices. Now the developer has released a new app called Voice Dream Writer which aims to support writers with special needs. Voice Dream Writer has features that can benefit people with a wide range of needs including people with dyslexia and people who are blind or visually impaired. People without disabilities can also benefit from the app. For example, english language learners could benefit from spoken feedback and other features offered by Voice Dream Writer. The text-to-speech feedback is designed to help writers find mistakes in their writing. The style of text-to-speech reading can even be changed to help writers focus either on spelling and grammar, or on content and organization. 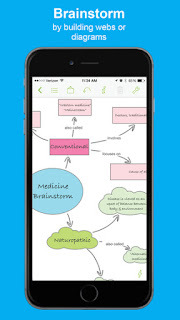 The app also offers easy access to an outline view that can help with organizing a document. Other features allow users to look up words phonetically or look up words by its meaning. The text-to-speech feedback can be accessed as users type so they can verify that a word or sentence was entered as they intended. This helps writers identify words or phrases that looked correct, but upon hearing them read aloud sound incorrect. 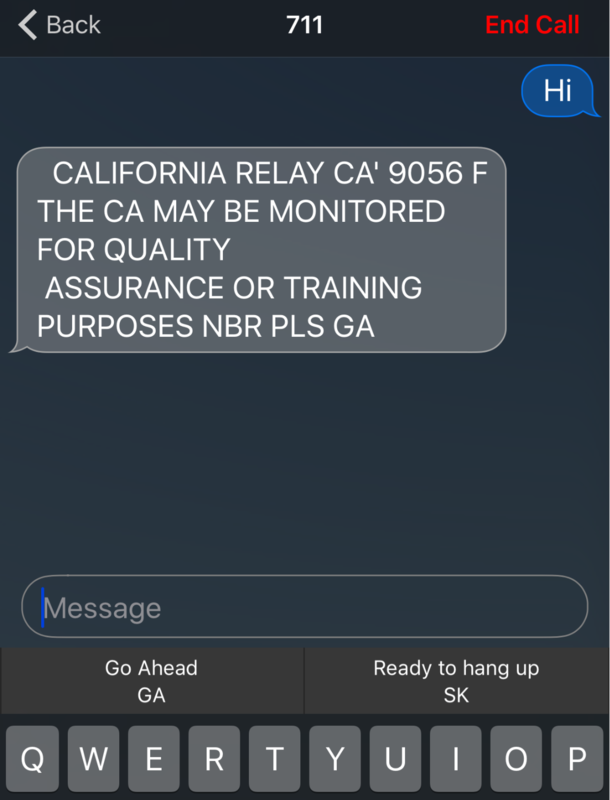 The app will also read back text that has been dictated to help users insure that their voice was transcribed correctly. When it is time to review a document, Voice Dream Writer includes some very thoughtful features for editing. The app includes two customizable proof reading modes that use text-to-speech to help with the editing process. The first is designed to help writers edit the content of their document. In this mode words are read back using text-to-speech sound natural and smooth: as they would when reading a book with Voice Dream Reader. This allows writers to focus on the content and organization of their document. The second mode reads text back in a somewhat choppy manner which allows users to focus their document at the micro level. This mode is ideal for editing spelling a grammar because the lack of flow with the text-to-speech voice makes it easier to focus on each word rather than the overall content of the text. Each proofreading mode is customizable with options to announce misspelled words, spell homophones, and speak punctuation and capitalization. Similar to Voice Dream Reader, Voice Dream Writer includes the ability to change the visual style of the app. Font size, character and line spacing, margins, text color, and background color can all be changed. Additionally, users can change the text to speech voice and speaking rate to match their preferences. Text-to-speech voices purchased in Voice Dream Reader are available in the Writer without an additional purchase. The pronunciation dictionary also syncs between the Writer and the Reader if both are installed on the same device. 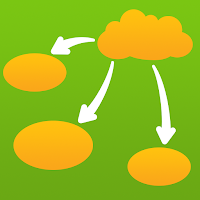 Text files can be imported from iCloud Drive or supported third party services such as Google Drive or Dropbox. Unfortunately, users can only import text files and not Microsoft Word files. Documents can be exported as HTML, RTF, Microsoft Word, or Apple Pages format. Click read more below to continue to read the review of Voice Dream Writer. Some of the most innovative and helpful features will be described below. Keeble is a virtual keyboard for iPad made by AssistiveWare. The app is only available in English for iPads running iOS 8 and above. As a result of new features available in iOS 8 the Keeble keyboard can be used in almost every app on the iPad including mail, Safari, and messages. Keeble gives users a number of customization options to make text input easier for users with special needs such as motor challenges, dyslexia, and other disabilities. One option available is the ability to change the appearance of the keyboard. Users can change the color of the keyboard which could be helpful for users with visual impairments. The higher contrast colors can be more easily seen compared to the white and gray colors of the default iOS keyboard. The layout can be change from a QWERTY layout to an ABC layout if desired. Keeble also includes word predication to speed up typing; especially for Switch Control users. The word predication features is slightly more advanced than iOS 8's built-in word prediction. Keeble allows users to change the number of predictions offered above the three offered by the default iOS 8 keyboard. Keeble also allows users to change how the keys respond to taps and presses. This is especially useful for users with motor challenges that may cause accidental taps or presses on unwanted keys. Hold duration can be set to change how long a key must be held before that character is entered. With this option enabled, quick accidental taps will not be registered. Additionally, the backspace repeat can be customized to avoid accidentally deleting text. A "select on release" option is also available which will enter text on release of a key instead when the key is pressed. 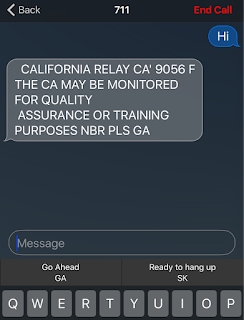 The last customization option allows users to turn on spoken feedback of the text they type. Feedback can be given letter by letter, word by word, and/or sentence by sentence. This feature allows people with dyslexia or poor spellers to confirm that what they words they think entered are the words that they hear being spoken back to them using text-to-speech. While this feature is useful it can only be enabled and disabled via the apps settings. If there was an option to turn on and off auditory feedback directly, it would be much easier to access the feature when needed and disable the feature when not needed. Users can totally turn off the iPad's speakers but this will also mute all other audio output. There is space on the bottom right of the number and symbol entry keyboard where quick access to this setting could be added. The Keeble app costs $15 on the App Store. To download the app click here. Click read more below to view screenshots of the Keeble keyboard. Recently, Apple implemented a new 14 day no questions asked return policy in many European Union (EU) nations according to 9to5mac. The new policy allows customers to receive a full refund on App Store purchases within 14 days of receipt. While this new policy is an important safeguard for all consumers, it is a major development for App Store customers who rely on accessibility features, such as VoiceOver, in order to use their devices. VoiceOver is a built in screen reader that allows blind and visually impaired users to use iOS devices and Macs. While browsing the App Store, it is extremely difficult for VoiceOver users to determine if the app they are interested in purchasing is accessible. This often leaves the customer playing a guessing game with their money. For example, without the return policy a VoiceOver user who wanted to purchase a $20 app would need to hope that the app was accessible with VoiceOver otherwise their $20 purchase would be useless. Even if the app is inaccessible and unusable refunds are typically not granted. The new policy allows VoiceOver users to download apps that may or may not be accessible without the risk of wasting money on an app that is totally useless for them. If the user downloads an app that is not accessible, they can simply return the app within two weeks and receive a full refund. In effect, this allows for a two week trial period for apps which will allow users to see if the app fits their needs. For VoiceOver users within the EU this will take the guesswork out of purchasing apps. Unfortunately, the new return policy is only available in certain EU countries and is not applicable to customers in other countries. Hopefully, Apple will extend the policy to all customers regardless of which country they are in. Until that time, users in other countries will have to hope that the apps they are downloading are accessible. To help people with disabilities use technology to read, write, explore interesting information, and explore their world with ease by using of technology. Copyright © 2011-2017 Brian Meersma. All Rights Reserved. Picture Window theme. Powered by Blogger.